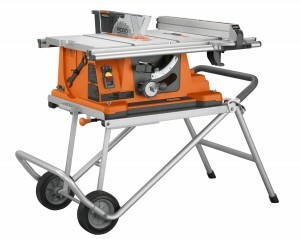 I have been looking to buy my first table saw. I am interested in getting started in hobby woodworking. My plan is to start with smaller furniture projects and see how I do and how they turn out. My first planned project is to build a night stand. Since I am starting out, I decided to start with a cheaper table saw. I realize it will not be professional quality, but there is no sense in spending thousands of dollars if I end up hating or being very bad at woodworking. So my goal is to spend around $400-$600 on a saw. I also have a smallish work space, about the size of a single car garage, so having a table saw that could be moved out of the way, might be helpful. 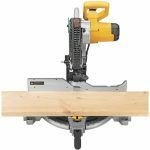 Dewalt DW745 – Most popular table saw on Amazon. Pros: The most inexpensive option at $299. The Dewalt name. Cons: No stand. Very small (20 inch) rip capacity. I am not sure Dados are supported. Dewalt DWE7480XA – Pros: Slightly wider rip (24 inches) and it includes a stand. Cons: $399 ($100 more) for those two features. Still a small rip capacity. The stand lacks wheels. Dewalt DWE7491RS – Pros: Super wide rip (32 inches) and a rolling stand. Cons: nearly $600 for these features ($577). At this price, there are lots of contenders. The rolling stand requires manually folding up legs. Ridgid R4510 – Pros: While it lists for $679 on Amazon, $399 for a refurbished one, I found a brand new one at Home Depot for $399. It has a rolling stand and decent rip at 25 inches advertised (closer to 26.5 in actual use). Cons: Not a brand I am familiar with. Needless to say, I went with the Rigid. The price/feature ratio is what sold me. I would have loved to have purchased the big Dewalt, but I couldn’t justify spending $200 more at this point. If I really use this a lot, I am sure I will want a nice ($1000+) saw and not any of these. So I consider this a starter saw. The thing is freaking heavy (100+ lbs). You will need help moving the box around. The assembly instructions for the stand are a joke. It is a single diagram with a dozen bullet points. Best I can tell, the first few bullet points come pre-assembled (maybe these instructions were provided with older different packaging?). The rest of the bullet points are confusing as hell. Get a six pack ready for when you finish. The stand is really convenient. Given the weight, I thought raising and lowering the stand would be a pain, but it is remarkably simple. The saw arrived fully calibrated and aligned. I checked the blade alignment and it was straight and true on all angles. The fence is perfectly true, even out to the full 26.5 inch rip. (For whatever reason, I seem to get about 1.5 inches more capacity than advertised. The table height is 35 inches. This is just odd. Nearly all table heights are 36, why this is one inch shorter is beyond me. I plan to insert some wood spacers between the stand and the saw to raise it up to 36 inches. There is no soft start on this saw anymore. But it turns out my 15 amp miter saw also lacks soft start. It isn’t a problem in my shop, I have 20 amp breakers that seem to handle the load just fine. I like the saw. After I spend more time I will write up some more detailed comments. Best I can tell, the base Dewalt model is nearly identical to the high end Dewalt model in the sawing and motor components. But unfortunately, they really charge you a hefty premium for simple features like additional capacity. Initial impressions after unboxing and setting up the Rigid R4510 Table Saw. While heavy and difficult to assemble, the table saw seems sturdy, accurate, and feature-rich.